Tampa Historical is an interactive web exhibit created and maintained by students and faculty at the University of South Florida. For information, please contact Dr. K. Stephen Prince, USF Department of History, at ksp@usf.edu. Special Thanks to Special and Digital Collections, USF Tampa Library, and to the USF Department of History. 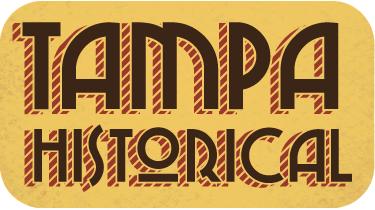 The Tampa Historical logo was designed by Bradley L'Herrou (http://bradleylherrou.com/). Background image courtesy of the David Rumsey Map Collection (http://www.davidrumsey.com/).